The regional senior director of property consultancy Bilfinger GVA Ian Stringer has been appointed as the company&apos;s advisory board chairman. Mr Stringer, based at the agency&apos;s offices in Brindleyplace in Birmingham, will retain his position as regional senior director for the Midlands alongside this new role. He has also previously acted as national head of offices and was chairman from 2005 to 2008. 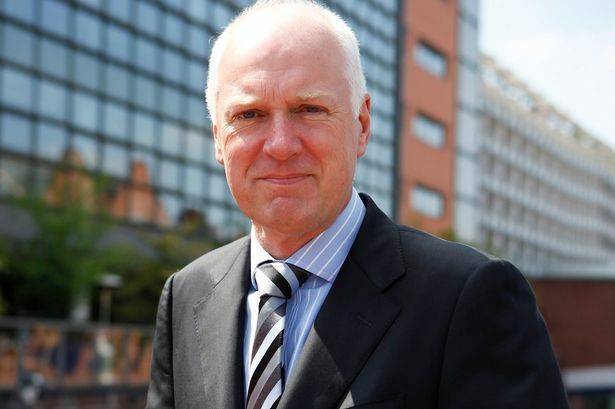 Rob Bould, chief executive of Bilfinger GVA, said: "I&apos;m delighted to welcome Ian Stringer to the advisory board chair. "His first class ability to lead in numerous guises makes him the ideal candidate to this key role. "I would also like to take this opportunity to thank outgoing chairman Stephen Brown for his outstanding work and commitment to the role during this time. "He has expertly steered the board and the advisory board through challenging times, to arrive where we are today with the business well positioned for its next phase of growth. Ian will take on the role from a position of strength thanks to Stephen." Bilfinger GVA is advising on many of the Midlands&apos; biggest regeneration schemes, including Paradise, Eastside Locks, Arena Central and Curzon in Birmingham and Friargate in Coventry. Mr Stringer added: "I look forward to working closely with our executive and advisory board colleagues to help deliver our strategic priorities over the coming three years. "This is an unquestionably exciting time for the company, turnover in the Midlands expected to exceed a record £25 million this year as the benefits of being part of the wider Bilfinger Group begins to pay dividends."